Decibel is an advanced trading platform with premium inventory and massive audience reach. 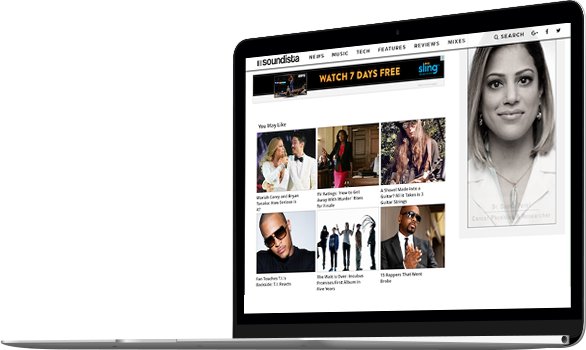 Reach target audiences interested in music, culture, technology and other real life content. We understand our audience and can deliver them at scale across display, native and video formats. 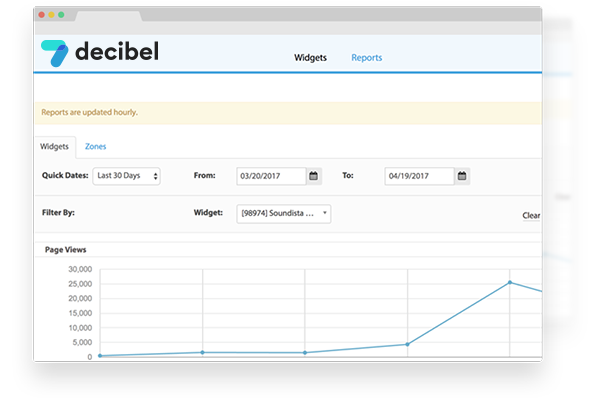 Decibel is the leading platform for reaching music enthusiasts in the global marketplace. We provide brand safe solutions across our expansive and fully transparent publisher network as well as broad audience reach across our RTB enabled partners. Our quality content and audience network enables advertisers to reach an exclusive audience, and publishers to monetize their content with relevant ads from premium demand sources. Our platform allows you to access relevant audiences across the world’s most premium publishers, directly through our exchange. Easily boost your message to targeted users with ads that scale. Deliver ads to audiences in specific countries, states or regions with relevant messaging. Segment by OS, device and much more. You no longer have to wonder how your campaigns are performing. 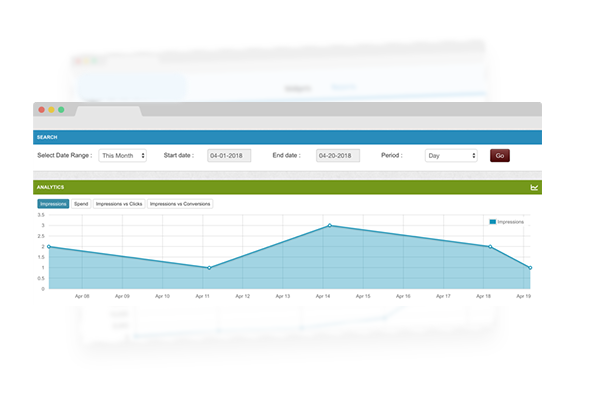 Our platform was designed to take the day-to-day hassles out of managing ad campaigns. We have partnered with some of the industries best in class fraud protection providers to identify malicious activity on our platform, so you can focus on optimizing your campaigns against higher quality traffic. Our proprietary OpenRTB platform aggregates inventory from all major SSPs, giving you access to audiences at scale. Decibel is a premium publisher platform connecting highly qualified audiences with highly relevant content, products and brands. We provide our publishers with transparent technology and an array of implementation choices, granting full control over pages and pricing. Monetize your data, tap into our direct demand or plug into our managed PMPs all within a unified platform. Founded in 2013, Decibel provides a platform for music, culture and technology oriented brands to connect with relevant audiences within transparent and brand safe environments. We are able to achieve this by providing innovative marketing solutions through our proprietary technology to help brands grow their business. Register now or contact us below to learn how our solutions can help you grow.